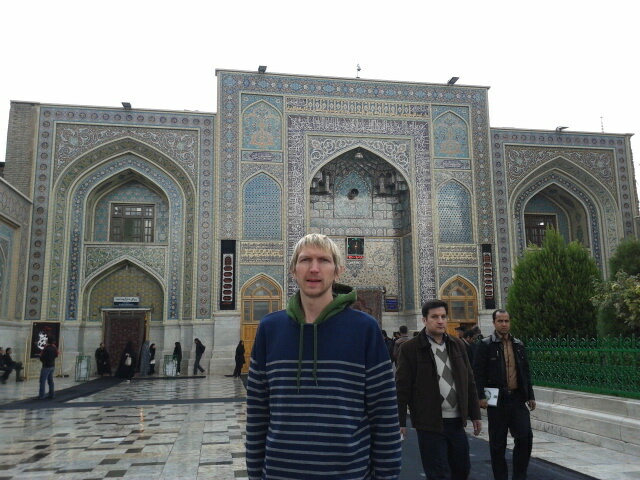 Touring the impressive Imam Reza Shrine in Mashhad, Iran. Despite the fact that the Imam Reza Shrine is one of the most touristy places of Iran, that fact passes you by fairly easily and quickly. 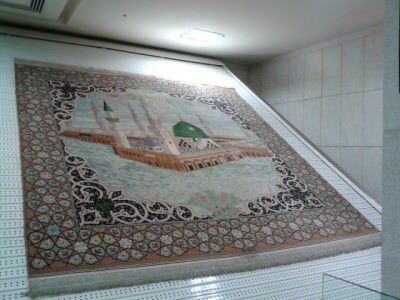 The tourists and visitors are mostly Muslims and “local tourists”. This place is truly off the normal travel wall, I can assure you of that. 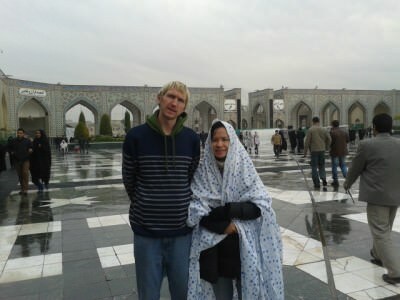 We were the only two tourists on our night train there, in our hotel and at the incredible Imam Reza shrine. Don’t kid yourselves waiting for Disneyland – you really do feel like you are travelling when you head to Mashhad. 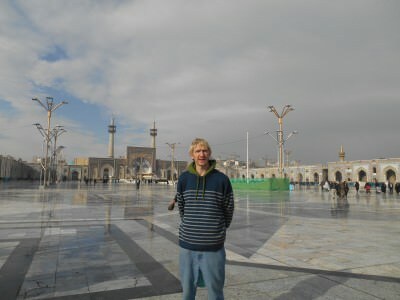 Here’s my detailed overview on touring The Imam Reza Shrine in Mashhad Iran, yes this is the biggest Mosque in the world! Mashhad is also Iran’s second biggest city, after Tehran the capital. 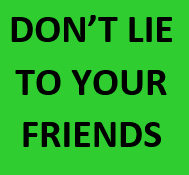 Cut the facts and figures, tell us all about it! Backpacking through the streets of Mashhad in Iran – still relatively off the beaten track. 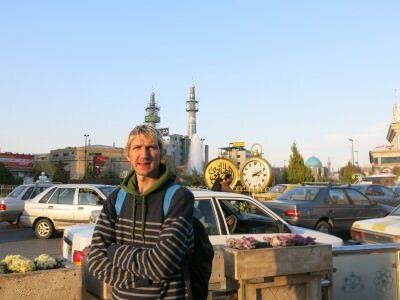 It was my idea to go to Mashhad – I told my girlfriend Panny about the shrine but the thrill of two night trains also did it for me. We got a night train from Tehran to Mashhad. 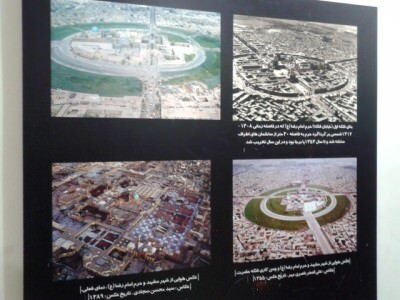 Mashhad is in North Eastern Iran and is the biggest city in that region. Trains and buses run to Mashhad from most other Iranian cities. Our train tickets were $9 US Dollars and they were the more expensive ones, proving how cheap Iran really can be. It was a 14 hour train ride, comfortable bed, safe 4 bed cabin and free tea and coffee and snacks. 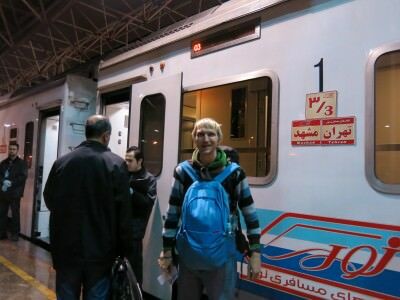 Night train from Tehran to Mashhad. Mashhad sits close enough to Afghanistan and Turkmenistan for it to be considered as decent city to stop over on route for backpackers heading out of Iran after that. We arrived in Mashhad early morning however and planned to leave after 2 days to visit the desert town of Kerman and the deserts at Kaluts. Apparently Mashhad has hundreds of hotels and I can well believe it. The one we chose in the end wasn’t very clean and had no free breakfast or wifi. In fact it wasn’t great so I don’t recommend it. Can’t even remember the name of it. Nor do I want to. 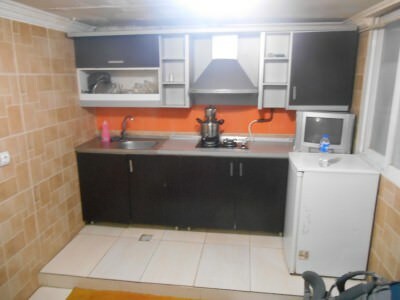 There is no backpackers hostel, which makes sense as they are no backpackers either!! 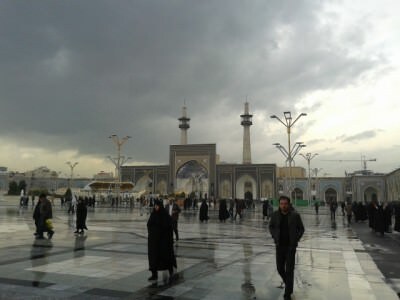 OK so when you arrive at the entrance to the Imam Reza Shrine you will see how busy and manic it gets – it’s overflooded with tourists – but they are rarely non-Muslims. For this reason, you will stand out a country mile. You might get asked to be in photos – they rarely see foreigners here. 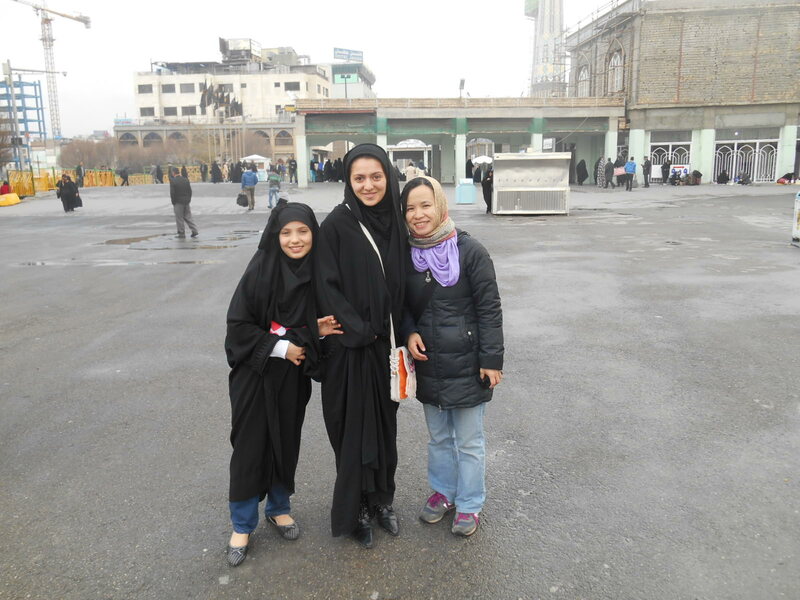 My girlfriend and two local Muslims at the Imam Reza Shrine in Mashhad. 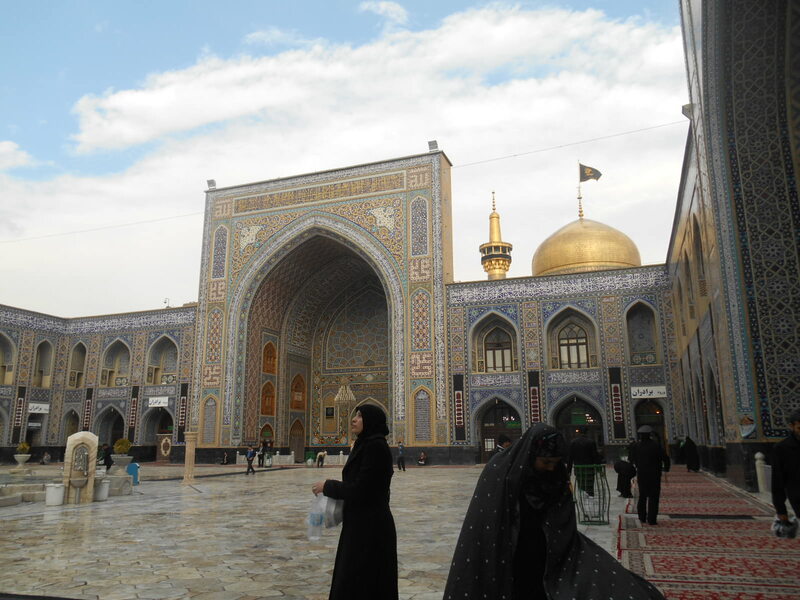 The Imam Reza Shrine is visited by 20 million Muslim pilgrims every year. 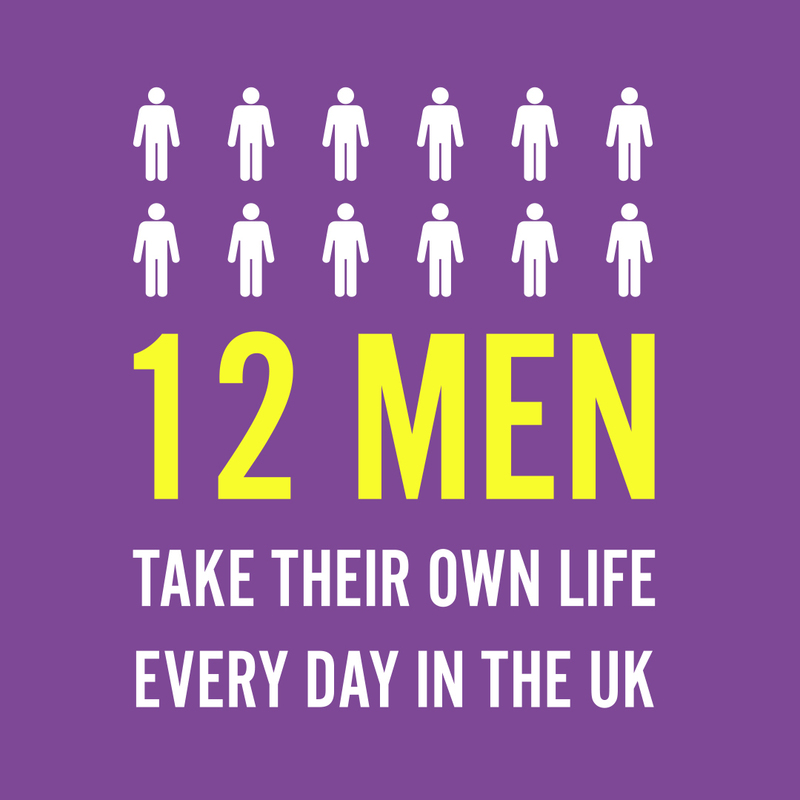 A staggering number, but having been there and seen it with my eyes, I can definitely believe it. 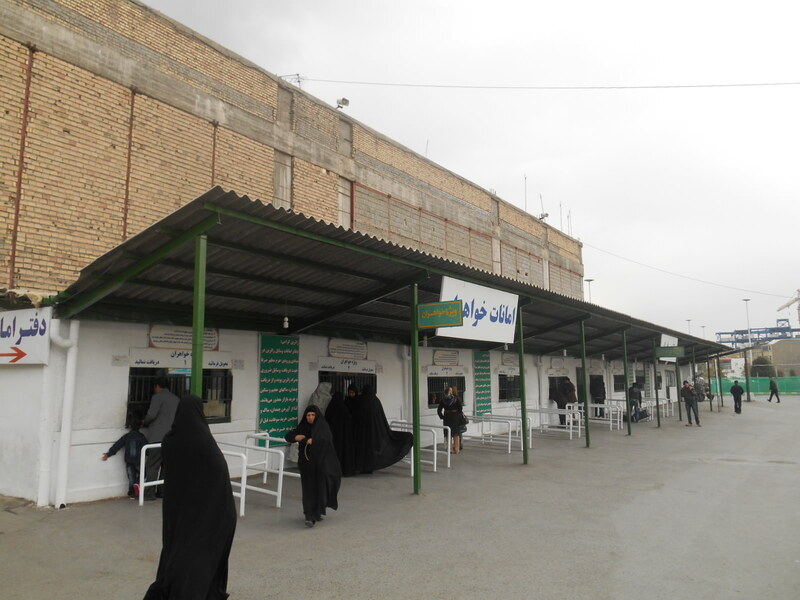 Around 20 million pilgrims per year visit the Imam Reza Shrine. What exactly is the Imam Reza Shrine? 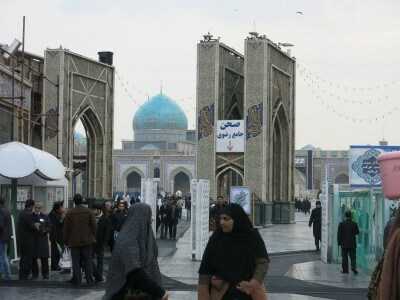 The Imam Reza shrine (In Farsi: حرم امام رضا‎) is a complex which contains the mausoleum (green chamber) of Imam Reza, who was the eighth Imam of the 12 Shi-Ites. 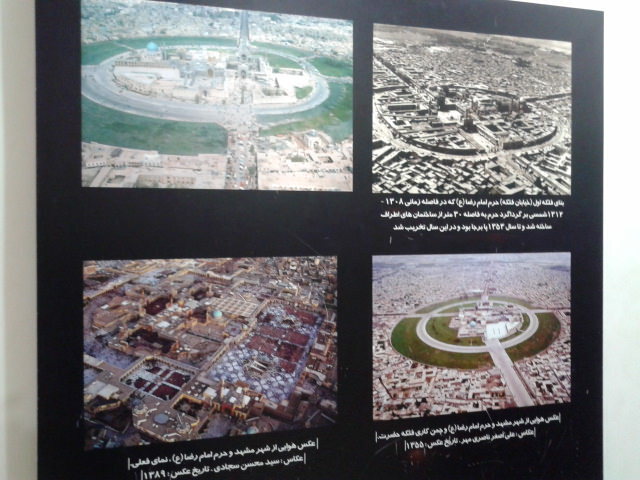 Remarkably, it is the largest Mosque in the world apparently, going by dimension/size! It is also the second largest in the world in terms of capacity. Inside the massive complex there is a lot of different parts and a host of things to see and do. The Imam Reza Shrine in Mashhad is the biggest Mosque in the world. Are Foreigners Allowed Inside? Are Non-Muslims Allowed Inside? OK this is a tricky one. Both my girlfriend Panny and I were allowed inside the complex. We were the only two foreigners and non-Muslims there. So yes you are allowed inside the complex. However you should be with a guide and you are NOT allowed into the actual Shrine of Imam Reza itself – i.e. 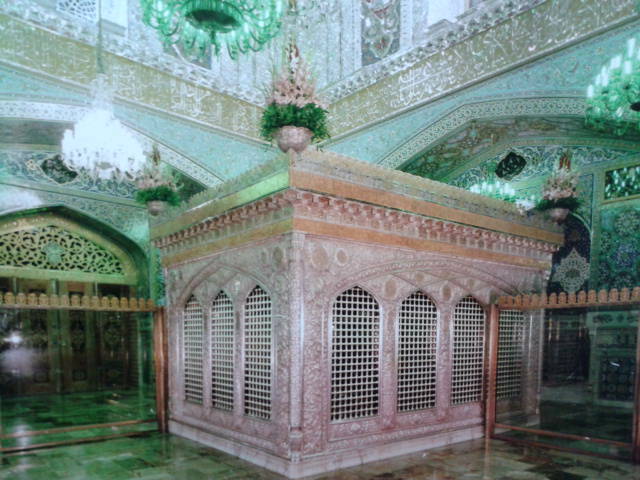 the Green Chamber where he rests. The viewing of the chamber is reserved strictly for Muslims only. I wasn’t going to lie about being a Muslim just to see the actual chamber. We got to see his old chamber instead which is a really pristine green tinted chamber. This is clearly a very very holy place in the Islamic world. As an outsider to the religion, we must respect what happens here. 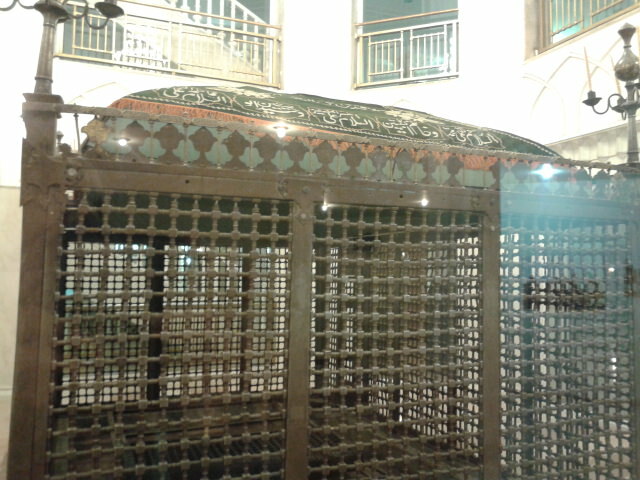 The old Imam Reza chamber. 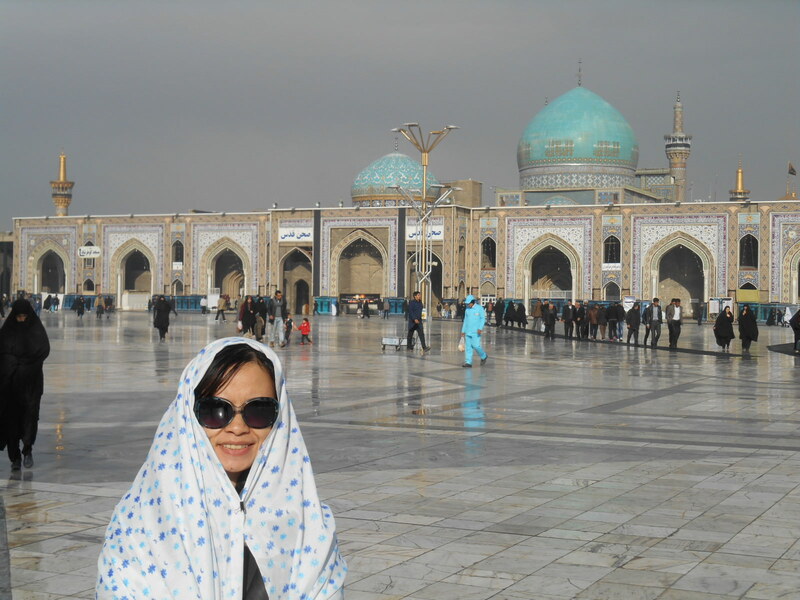 What is the dress code for the Imam Reza Shrine? You need to dress specially for this place. Shorts and t-shirts, skirts, bikinis etc. are a complete NO-NO. Ladies – only your face and hands can be in view. No shorts/skirts or short t-shirts. No hair showing. Make sure you cover up out of respect. They will give you a shoal and hajib on the way in if you don’t have it already. 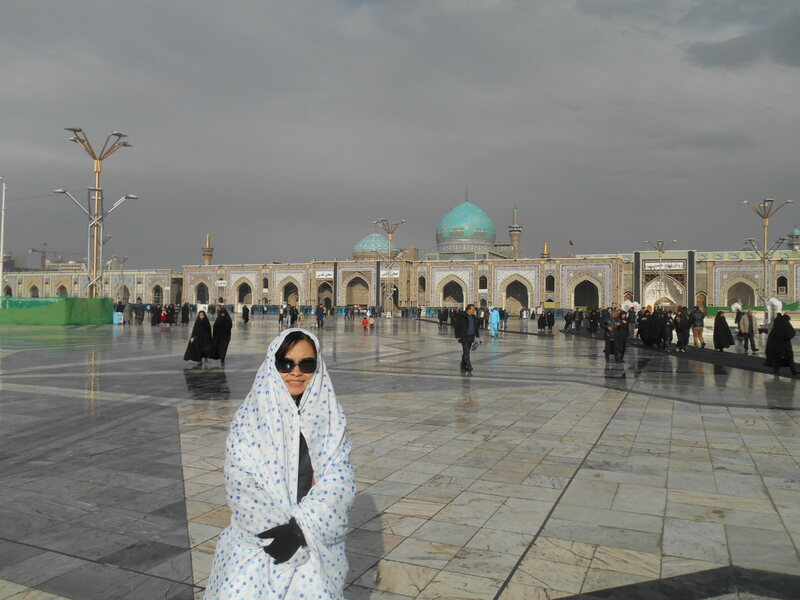 This is Panny dressed up in the Imam Reza Shrine – ladies need to cover up. Officially cameras are forbidden. Photographs are also forbidden everywhere inside the Imam Reza complex. That’s right – everywhere inside. However, yes we both took our cameras in and we both took photos inside. I have to admit we wanted the photos to share and show to people as well as for ourselves and so we did break the official rules by taking these, but we are doing it in the right way and our guides were also aware that we took photos – as long as we didn’t go over the top and make it obvious they seemed OK about it. If in doubt – ask them. We are not taking photos of Muslims praying, we are taking photos of ourselves inside the complex and the architecture and museums. 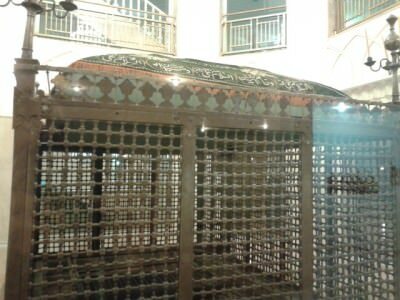 A photo of Panny inside the Imam Reza complex. You don’t see Muslims taking photos when you are inside. It’s not the done thing, though the younger generation can be seen taking sneaky ones with their snazzy camera phones. Look around and you might see it happening. 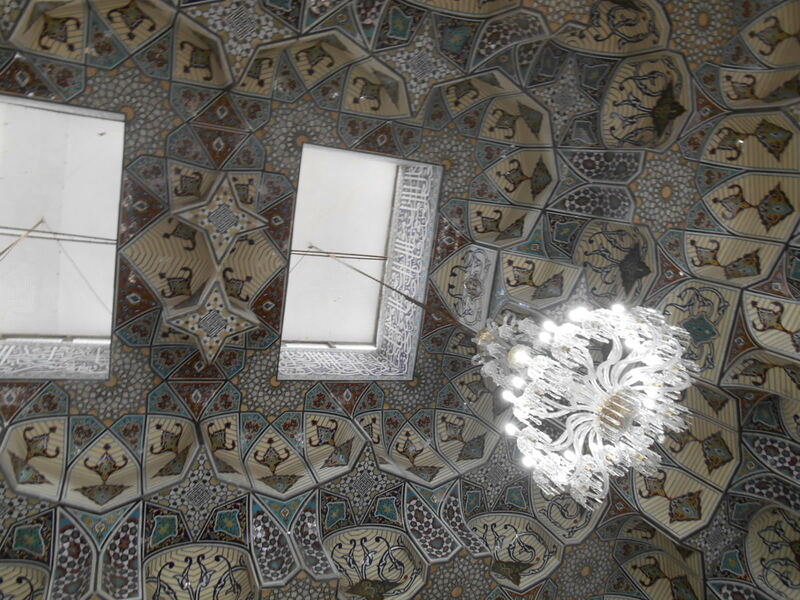 A photo inside the Imam Reza Shrine – officially you’re not supposed to. You can’t take backpacks in with you. A personal ladies handbag should be fine, but my backpack had to be handed in. There was no charge for this. It’s at a booth on the right hand side of the entrance. Written in Farsi only but you’ll work out that you put your bags in here. On the way in, if you have a bag, the guys on the door will usher you back out anyway. The booths for handing your bags and belongings in before you head inside. After handing your bag in, you go through a security check, so if you plan to bring your camera and a book/map with you, try and disguise. I just had mine in my pocket and it was fine. 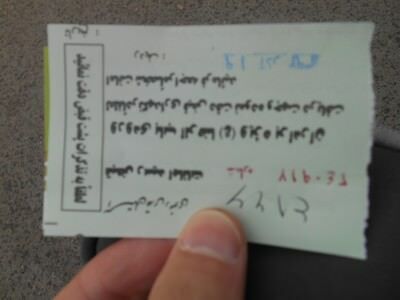 Ticket for my bag at Imam Reza Shrine, Mashhad, Iran. There are separate entrances for males and females, so just look at the other people and see what way they go in before picking the entrance. There are male and female entrances. Do You Have to Have a Tour Guide With You? On the way into the complex, realising that Panny and I were the only two foreigners in town, the guys at the front had to phone through and arrange a tour guide for us. This seemed to be standard practice. If you manage to get through the entrance without a guide, for sure someone will come over to you and speak in English at some point to arrange you a guide. At the start we refused to accept a guide, showing our guidebook and saying we would prefer to do things ourselves. In the end we stayed with the guide for most of the tour and it was no problem. We were worried of having to leave a tip for the guide as well – but they don’t want one. In fact I think it would be rude to offer it – the only offerings in here should be to the Shrine in respect to Imam Reza. 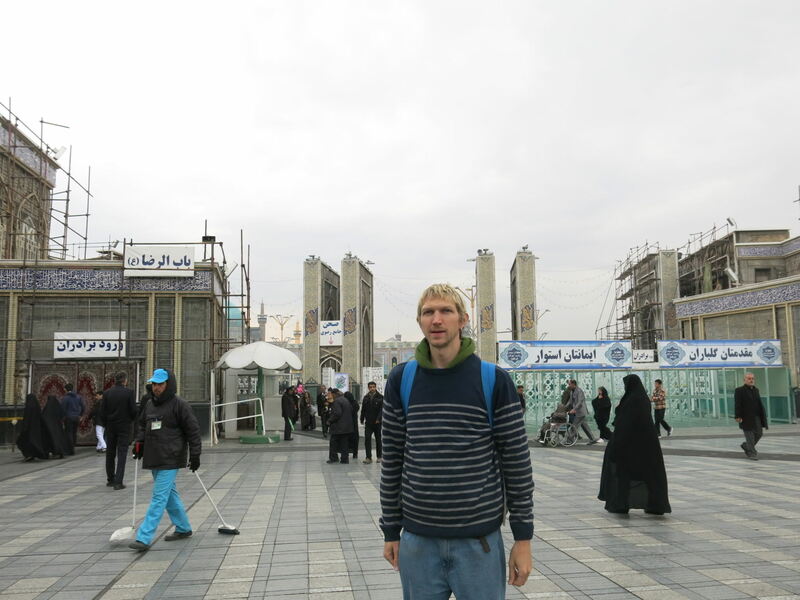 At the entrance to the Imam Reza Shrine before entering and being joined by a tour guide. We had two guides, both female. The thing is, these two guides allowed us to take photos (which is normally forbidden) and they seemed to have a genuine interest in us. We asked if we could be in photos with them, and the two guides refused, they don’t want to be photographed, so grab the photos you want and be discreet but don’t go over the top. A photo inside the Imam Reza Shrine. I should also mention that the museums inside the Imam Reza Shrine have an entry fee for tourists/foreigners. On the entrances to these museums, Panny and I refused to pay entrance fee saying we weren’t interested in the museums (1 was a carpet museum and we had already seen a very over-rated carpet museum that week in Tehran). 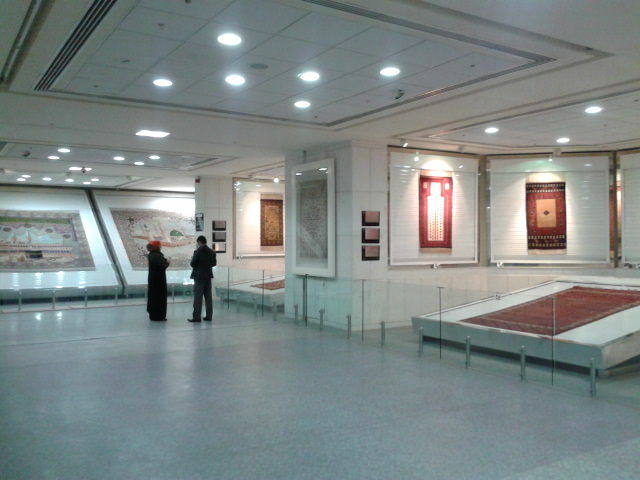 Carpets in the Carpet Museum inside the Imam Reza complex. When the guides found out we weren’t interested, they let us in everywhere for free. We spent about 3 hours in total inside the complex and didn’t pay for anything. You’ll get that too if you just keep saying no to entry fees. What Else in Inside the Imam Reza Shrine? 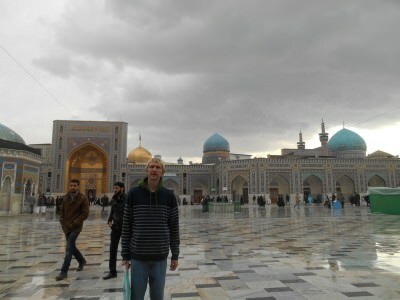 The Imam Reza Shrine is understandably massive and while the Lonely Planet Iran book is a good start, you can ask to head straight to the information centre once inside the shrine. You will be issued with a bag full of goodies including information, maps and even free postcards! 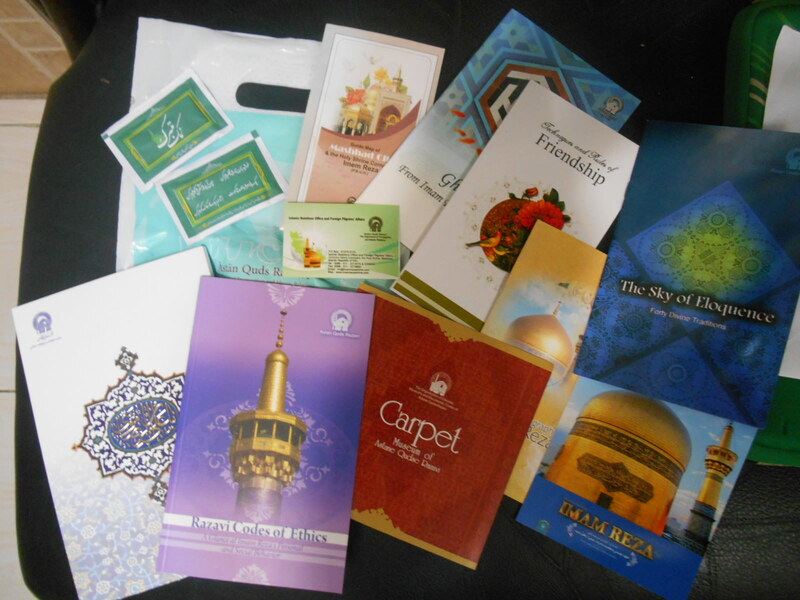 All these souvenirs and leaflets were given to us for free at the Imam Reza Shrine including some cool postcards. 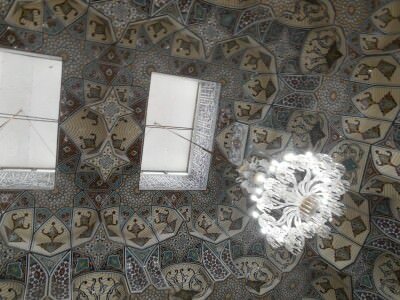 In the information centre there is also a holy place with sparkling ceiling design. Ceiling inside the visitor centre of the shrine. You normally have to pay entry to the main museum (I think it was 100,000 Rials) but we said we didn’t want to see it, so they took us in for free. 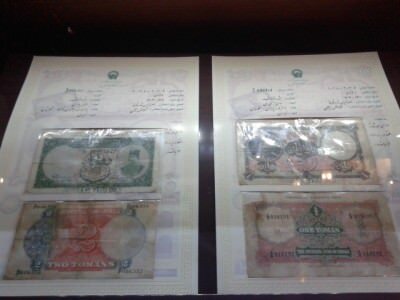 Old stamps, coins, banknotes and relics. It was actually worth a trip in the end! 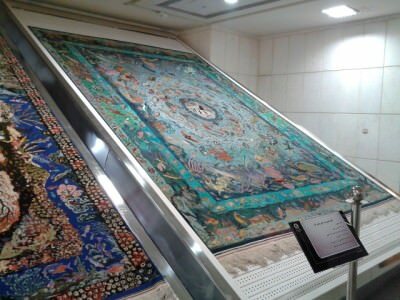 As mentioned there is also a carpet museum – again there is supposed to be an entry charge (again I think it is 100,000 Rials) but we said we weren’t going to pay and weren’t keen to see it, but then the guides let us go in for free. It was actually pretty cool and a lot better than the carpet museum in Tehran. 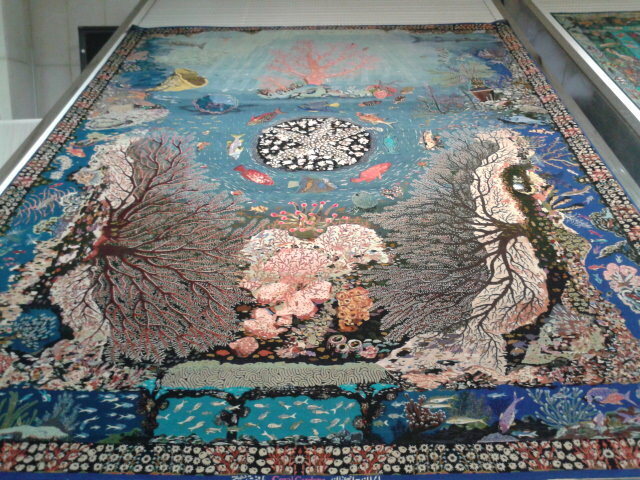 Inside the Carpet Museum, Mashhad. Of course there is the large Goharshad Mosque inside the complex. In the main courtyard in front of the Gohar Shad Mosque. The Holy Shrine has a golden dome at the top of it. In front of the Golden dome. Apart from all that, it’s pretty much an “admire everything around you and take it all in”. For me it was just seeing the place and how crazy it is. Not many tourists that head to Iran visit Mashhad but of course, I totally recommend it – great place to check out. This entry was posted in Central Asia/Middle East, Destinations, Iran, Mashhad. Bookmark the permalink. I always find it strange how they make women cover up fully, I appreciate that it’s their tradition and how things work in Muslim countries but it doesn’t sit right with me, how did your girlfriend feel about this Jonny? Looks like a truly amazing place – Shame about not being able to go wild with photography – Just looking at your photos I can tell you could get some amazing shots if allowed! Hi Paul, in my opinion it’s actually fine but then I wasn’t the one who had to cover my hair. I don’t mind having to wear longs and trousers etc. to visit these types on places and I respect the local culture. In fact, I’d argue there are more restrictions in my home country in Northern Ireland, where I was once told “sorry mate you can’t wear a Northern Ireland shirt into this bar”. Really? Yes really! I couldn’t believe it. 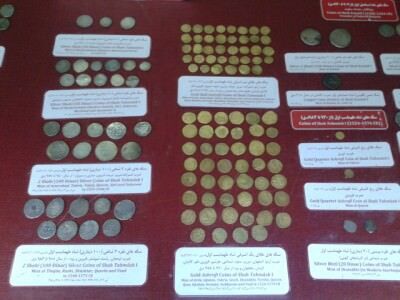 Part of the Islamic culture going by Qoran etc. believes in the covering up of females and I have qualms about it – being refused entry to a bar because I wear a football shirt then I go mad! Oh I would always respect their wishes and comply to any countries traditions, especially when visiting religious sites. Thats insane man, I’ve gone places before where I’ve been advised not to wear a football shirt due to local rivalries, for instance I know that wearing a Stags (Mansfield Town FC) shirt in Chesterfield is never a good idea, but not being allowed in a pub because of a football shirt – Mental! When did you visit Iran? 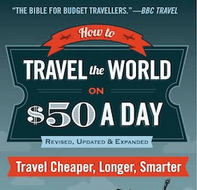 and can you please share some nice hotel names where you stayed ?…including the rate per night? Just a note from another Northern Irishman. I visited Mashad in the 1970s, during my first stay in Iran, but then I could not go into the sahn, the main courtyard of the complex. 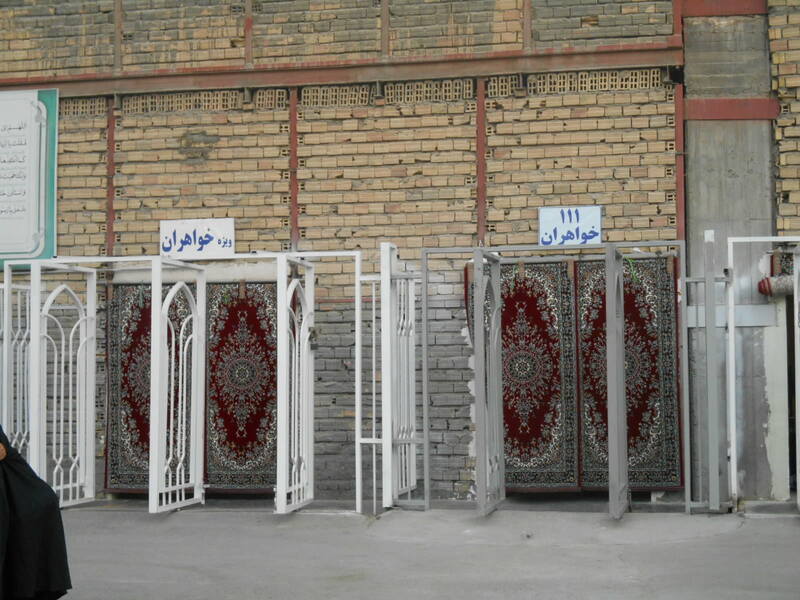 Non-Muslims in Iran are considered najis, which translates to ‘unclean’. They are supposed to polliute anything they touch. Even if a Christian or Jew casts his shadow on food, it cannot be eaten. 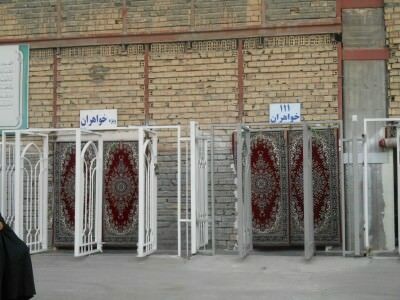 It surprises me that the current hardline regime allows non-Muslims into shrines or mosques. Thanks for the details. Do note that your photo of ticket is upside down and that both entrances in another photo are for females (khwaharan – sisters) and not men and women. I’m glad you had a good time in Mashhad. Please let me know if you’re sad about not taking enough photos, cause I live in this city and I can send you as much photos as you want and It’s not forbidden for me at all! 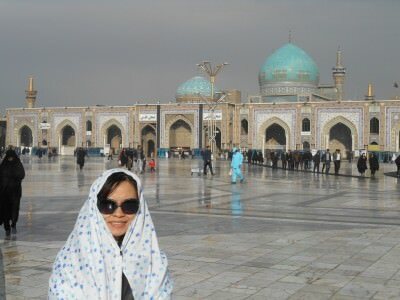 An interesting fact about me is I was born at Imam Reza’s birthday in a hospital with the same name! So my parents named me After him and his grandfather. I personally disapprove of not letting people to take pictures, normally I do it and I don’t care about this rule. but authorities don’t ask for my comment! I would have change it if it was my decision, but I’ll sent you some picture as soon as I could visit there. FYI, my name is Mohammad Reza, Imam is a word that people use, out of respect (like Mr or Mrs) and It’s not name. The other day I asked a few people about restrictions in Imam Reza’s shrine. About 20 years ago, Terrorists attacked shrine and many people died when the bomb went off. Since that day, There’s a checkpoint in every entrance and they don’t let anybody take anything bigger that a cellphone in there. Glad you have visited our country . 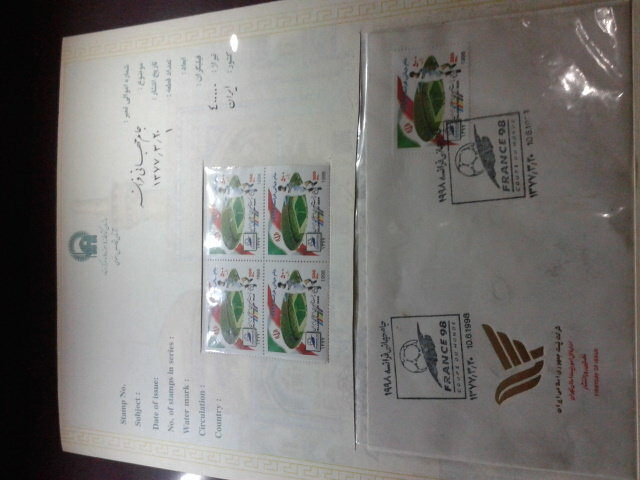 Good luck and I hope to travel back to Iran . I hope to see you again in our country. Really? The largest Mosque in the world? That’s cool. Makes me wonder where the largest Synagogues, Cathedrals, and Hindu temples are in the world now. I live in Iran and I’m so glad that you visited my country ! I think Iran is a must see country but the thoughts about Iran sometimes are so different and maybe unreal ! it should be introduced more and better to others that don’t live here ! I have visited Mashhad several times and I have stayed at the best hotel possible.”hotel toos”l it is right opposite of the shrine! It is amazing because it is only a two minute walk and you need no transport. The hotel is the best hotel there is in mashad and the food is great if you are interested in visiting the hotels cafe and restaurant. The breakfast is free and so is the wifi.the rooms are in the best conditions, clean and luxurious. And they also have a swimming pool and gym on the top floor. Although the hotel can be a little bit pricier than other hotels it is worth it because you can visit the hotel multiple time in one day without and cost of transport. I always visit the shrine almost 3-5 times a day because of how near it is to the hotel.